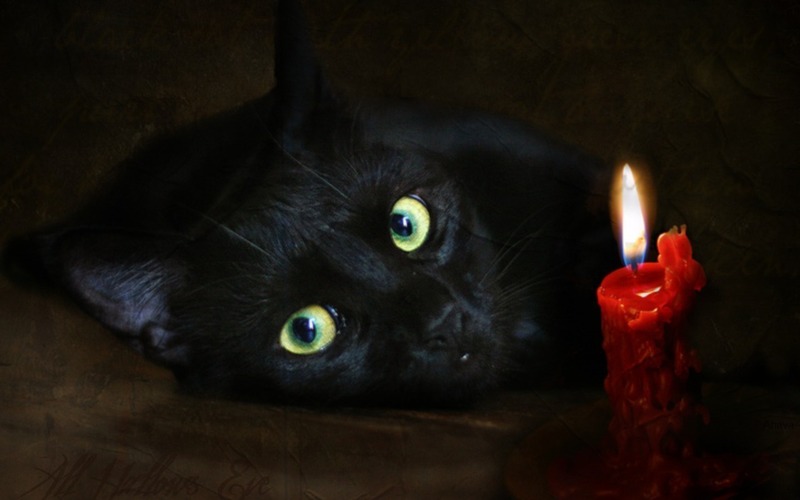 Look into my eyes. . HD Wallpaper and background images in the Red club tagged: red black cat red candle candle. This Red photo contains 촛불, 테이퍼, 왁스 등, 양초, 왁스 라이트, and 가벼운 왁 스.